We've spent wonderful days in the desert, guided by a honest and generous friend Prakash. This adventurous experience have enriched our heart and will remain in our mind forever. We cant wait to come back to Bikaner and meet our new friend for other adventures. Our family is greatful for having met such a honorable family. Thank you so much for making us feel welcome into your wonderful Indian family. You should be so proud of them because they have won a place in our heart. Prakash's family guest house has been a great surprise. I only had 20 hours in Bikaner. Myself and 8 others met on the train. 2 of the group had a referral for Prakash's. We all followed along at 4 AM. Prakash gave us all a place to rest and relax for our short stay. His wife and daughter taught us to make CHAI (Indian Tea) and Chapati and entertained us through the next evening. A really great home stay experience. 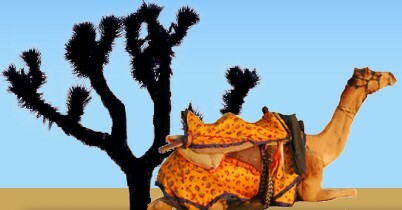 We had two very nice days and starry night in the desert with Prakash and his camel man. Prakash is a very good guide and showed us a lot more than the promised and than we expected. It is a pitty that we had to leave this night and that we could not stay long in this wonderful town. Thank a lot. We met the camelman due to a number of coincidents and instantly had a fun time with him ! After only two days of camel safari, we were still quite happy to go back to his pretty, clean house, have a shower, some nice masala Chai and a good chat. Thanks a lot. I stopped here for a camel trek but found myself unable to leave after I felt like home with such a nice family. We had a great time singing, chatting, drinking tea. The kids were lovely and well behaved, the father is always there to help you. make your life in India easy. Thank you so much and I really hope to see all of you some day.